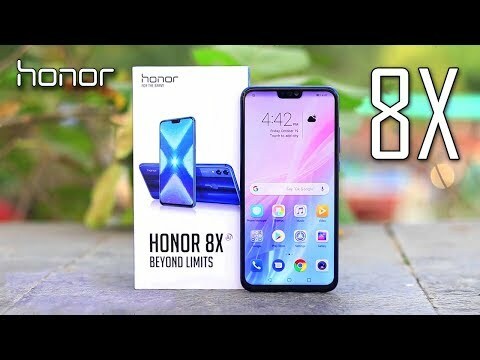 Honor 8x 64GB - Beyond the Limits! Honor just brought its new 8x 64GB to the table with less internal storage to make it more affordable for you with 64 GB. well, you can always get yourself an extra SD card for Honor 8x 64GB because still, it's not that bad 64Gb is still enough for most. If you still think that you need some more storage then you have an SD card slot too in Honor's 8x 64GB which is capable enough to expand your internal storage up to 256 GB. In other specifications, you will get a massive and bright screen with a size of 6.5 inches. Honor 8x 64GB's resolution is 1080 x 2340 pixels and if we talk about the pixel density of the display then it is 396 pixels per inch. You will get the latest processor from Huawei and 8x 64GB by Honor is coming with Hisilicon Kirin 710 which is new in business and have more focus on gaming performance with a dedicated GPU to put its all power in running games without pausing. Honor 64GB got the help of Mali-G51 MP4 GPU for making the graphics look better while playing heavy and messy graphics games. If you are a game lover then Honor 8x's 64GB definitely need a bigger battery to perform the job and that's why 3750 mAh battery is used to look after the needs of energy for this phone. 20 MP main camera of Honor 8x 64GB is not alone because it got the support of the additional 2 MP depth sensor which is going to bring more detail of your images. For selfies 16 MP lens is used so 8x 64GB's users will get the best selfies all the time so what do you think is it good enough to beat Samsung.